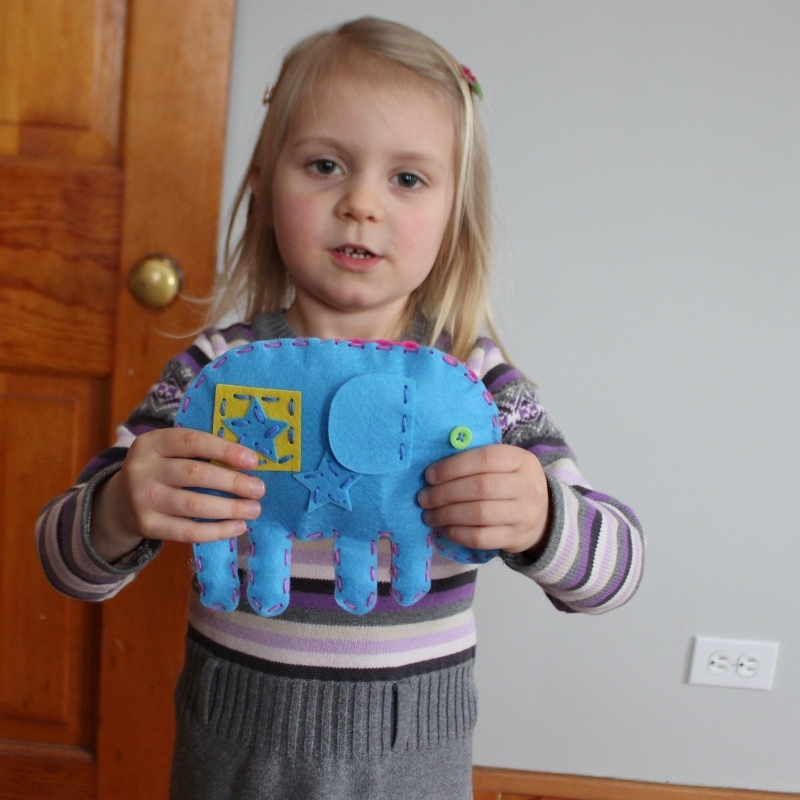 Ellie’s recent interest in sewing has culminated in two completed projects! First, she decided to sew her own manger scene, after watching me sew ours. I had everything out and was taking pictures for the tutorial. So she used my templates, chose the felt and thread colors, and sewed it herself! I helped with threading the needle, and starting/finishing off the thread (plus a little creative guidance). Other than that, this is Ellie’s own creation (and her first with a sharp needle)! The other project she finished this week is one that we started just after Christmas. Yiayia gave her a “My First Sewing Kit” for Christmas. I’m not even going to link to what it is because it has so many flaws. 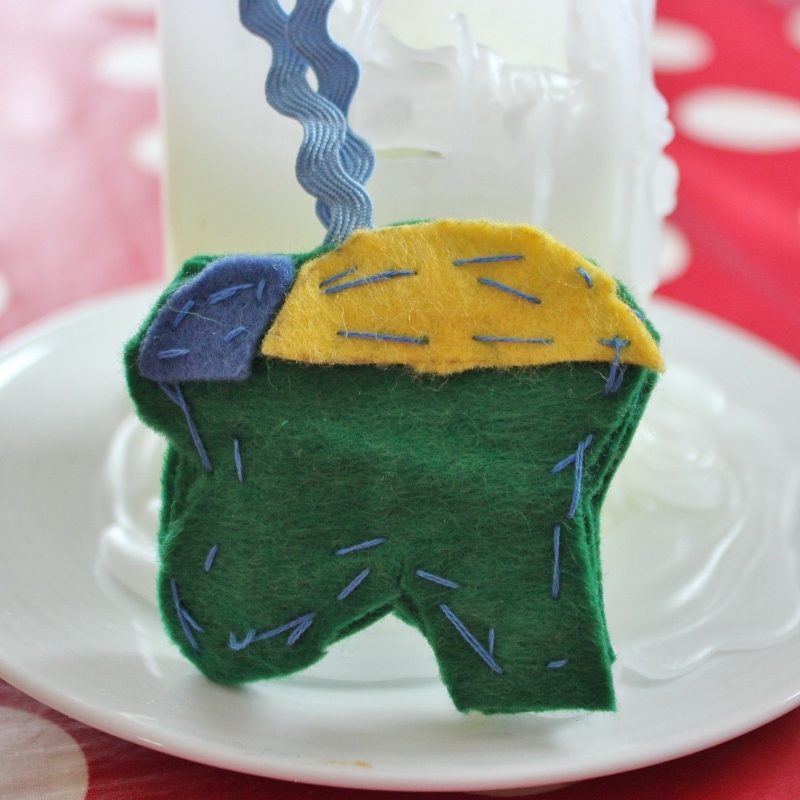 The idea is great and Ellie has had a lot of fun sewing with it. I’ve been annoyed by the lack of sewing knowledge evident in its design (i.e. giving us buttons for the eyes that the needles don’t go through, embellishments that you need a sharp needle for, etc.). 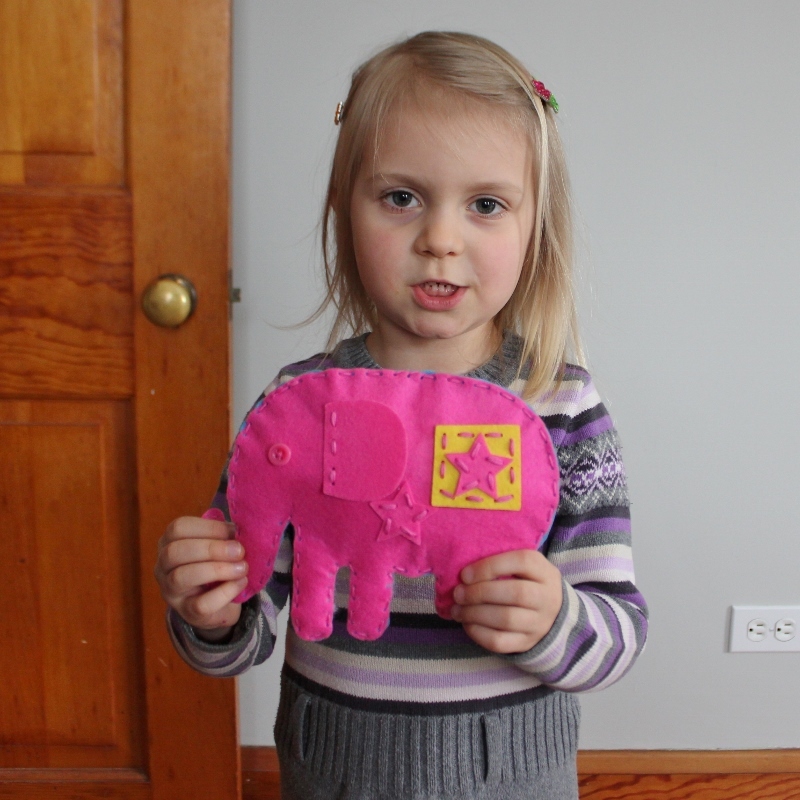 Putting that aside, though, Ellie did sew an elephant! Again, other than help with threading the needle and tying off the thread, Ellie did basically all the work on this one! Here’s my darling girl, who would wear dresses and tights all the time if I would let her. 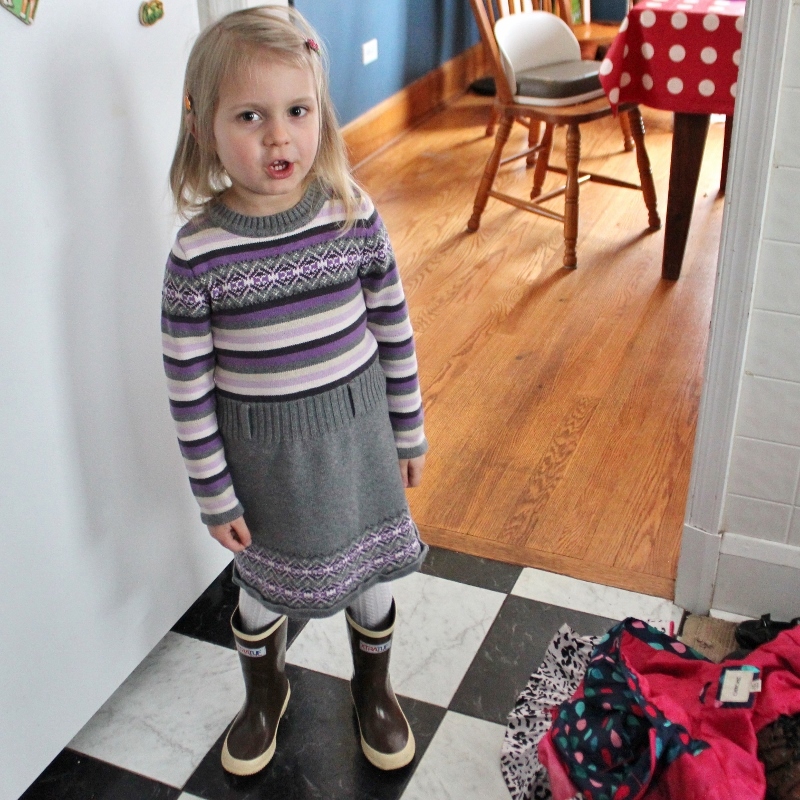 Meanie that I am, I insisted on leggings (with her dress) yesterday morning because it was so wet. The instant we got home though, she changed into tights and so, in the afternoon, she got to go out in her XtraTufs and tights! 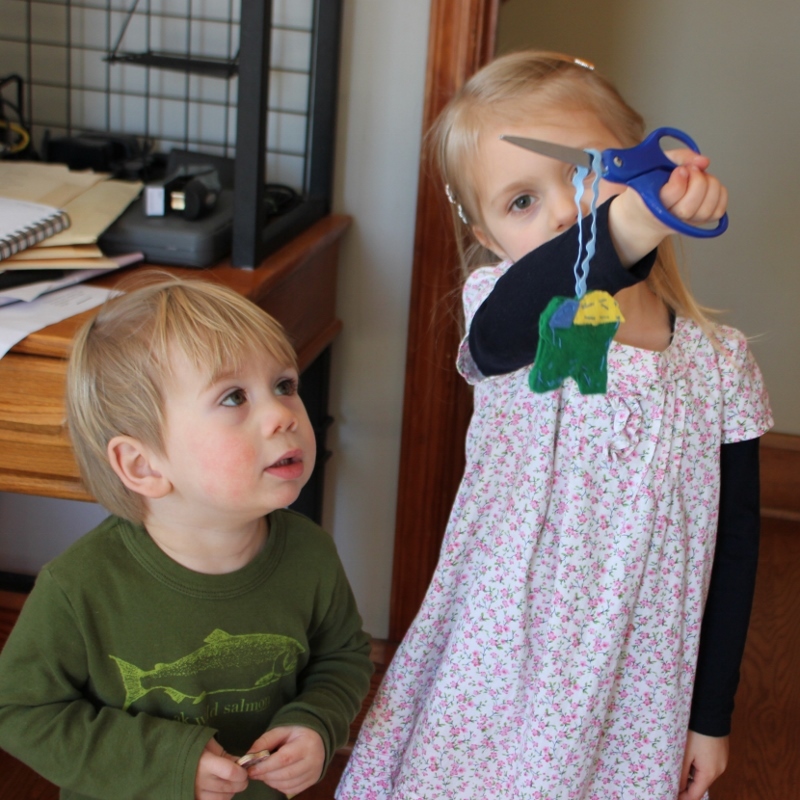 This entry was posted in Ellie, sewing and tagged my first sewing project, XtraTuf. Bookmark the permalink. So impressed with Ellie’s sewing skills! She must have a good example/teacher! And a good dose of perfectionist in her also! Thanks Mom! And yes, she is a bit of a perfectionist, just like her mother! Is that hereditary or taught by example, I wonder? Good job Ellie! I’m very impressed!